Saves your inventory items inside a gravestone when you die. 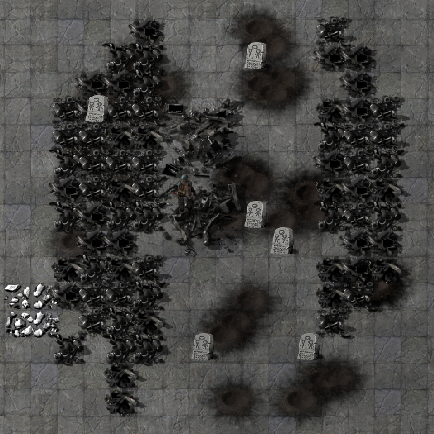 A continuation of Hazzard's Gravestone Mod for Factorio. When a player dies, this mod creates a gravestone and fills it with the player's items. Each gravestone functions as a large chest, but cannot be crafted or obtained. The mod will try to place the chest within 8 tiles of the player; if it cannot find a spot, no chest will be created, and the items will be lost. The chest currently holds up to 89 stacks of items (more than a vanilla player can hold), any extras will be deleted. WARNING: There seems to be a bug in 0.12 (maybe earlier) where the game will crash if you try to open an inventory while dead. Do not try to open any inventories (including chests, gravestones, machines, trains, etc) while dead. This mod only works in multiplayer because the game is reset in singleplayer. I do not know if it is possible for mods to change that. I (jakimfett) didn't create this mod, Hazzard did. Hazzard, if you come back to modding, I'll happily transfer everything over to you. Licensed under the GNU GPLv2. Bleeding edge builds can be obtained from Jenkins, but may be horribly broken and/or corrupt your world.